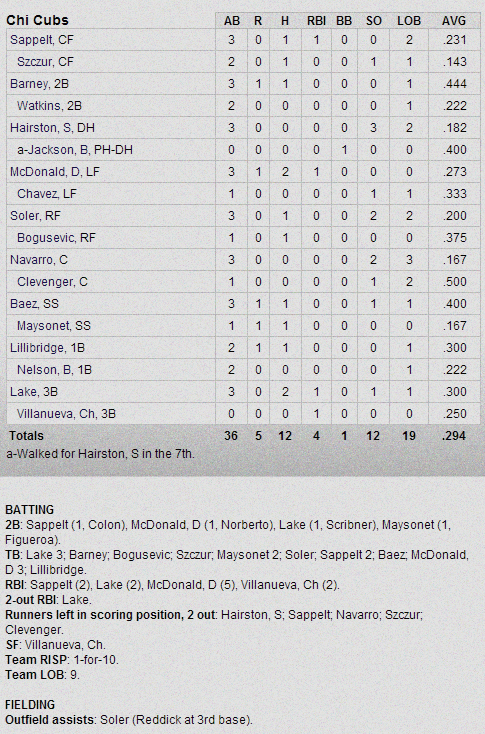 The Cubs got back to basics this afternoon and also back into the win column, that’s not a coincidence. After yesterdays game, which was one to forget, the Cubs pitching shut the A’s down all day while the offense pounded out twelve hits, and the defense was solid making no errors, a complete ballgame. Scott Feldman got the start for the Cubs, his first as a North Sider, and struggled a bit with his command but was able to pitch around some self-imposed trouble. Feldman worked two innings giving up one run on two hits while walking two and striking out two. Travis Wood followed Feldman out of the pen, and ended up with the victory as he also went two innings, he gave up one run on two hits while walking none and striking out two. Kyuji Fujikawa had his second straight strong outing as he worked a scoreless inning giving up one hit and striking out one, he now has three strikeouts in two innings of work this Spring. Jensen Lewis made things interesting in the ninth inning as he allowed one run on three hits, but got a couple of clutch strikeouts to earn the save. 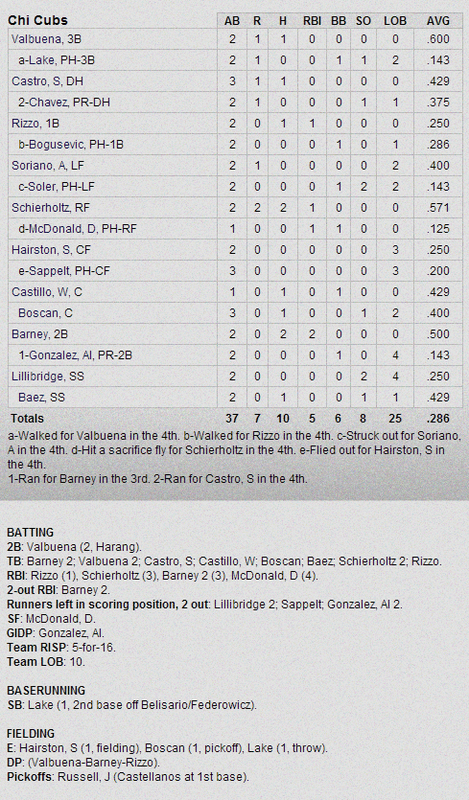 The Cubs sprayed the ball all over the field offensively today, registering twelve hits with zero leaving the ballpark. Junior Lake had an impressive day at the plate going 2-for-3 with a double, and an RBI, he is now hitting .300 on the Spring (3-for-10). Darnell McDonald had a strong day at the plate as well going 2-for-3 with a double, an RBI, and a run scored. Jorge Soler flashed some of his tools in the game today, he finished 1-for-3 at the plate with two strikeouts, but gunned down Josh Reddick at 3rd base from right field. Javier Baez got the start at shortstop today while Starlin Castro nurses a tight hamstring, and went 1-for-3 with a run scored, he didn’t endanger any infielders’ lives today, which is good I guess. 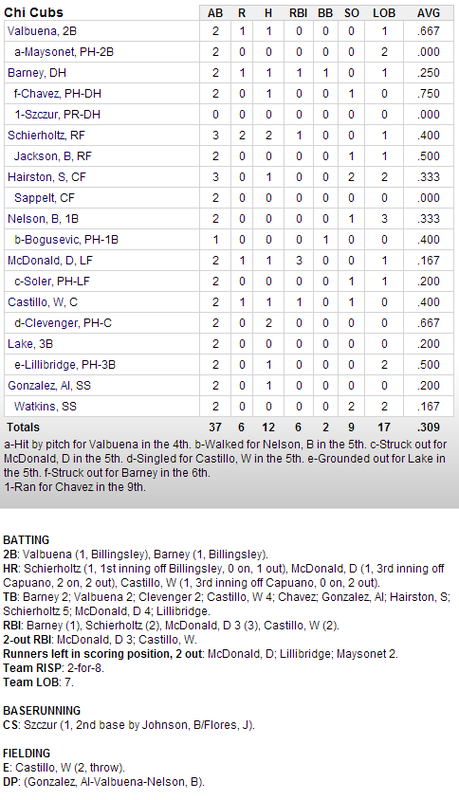 I know it’s early, and it’s only Spring, but it’s nice to see a Cubs team competitive from the start. 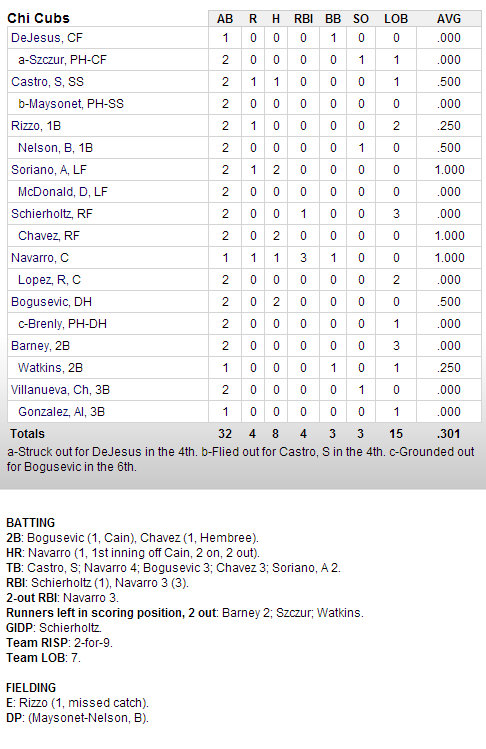 Now THAT is an early Spring Training game if I’ve ever seen one, and I didn’t even see this one. It was a long, messy game that ended with the Cubs on the losing end of an 11-7 final, and holding their breath about a potential injury to their franchise shortstop, more on that later. It was a tale of two games for both teams really as seventeen of the eighteen runs scored in the game crossed the plate in the first five innings. Cubs pitching finally had a rough day, and it started with Brooks Raley. Raley was really knocked around, he was able to go one plus inning giving up four runs on five hits while walking one and striking out one. Thanks to an early surge by the Cubs offense Raley wasn’t on the hook for the loss, that honor went to Trey McNutt. McNutt didn’t pitch terribly in his outing, but he was hung with the loss as he couldn’t bail out Raley after he left and allowed an earned run of his own in an inning of work on two hits. Jaye Chapman, and Alberto Cabrera were also beat up pretty bad today as they combined to give up five runs, four earned, on six hits over three innings. Chapman was particularly bad as he only lasted a third of an inning giving up three runs, two earned, on two hits while walking two. The foursome of Michael Bowden, Hisanori Takahashi, Shawn Camp, and James Russell stopped the bleeding but it was too little too late. As I mentioned the Cubs bats were alive and well early this afternoon as they held a 4-1 lead and pushed across seven runs in the first four innings. Both Nate Schierholtz and Darwin Barney had two hits, and they were productive as Schierholtz knocked in one with Barney driving in two. Javier Baez drew some oohs and aahs with a screaming line drive base hit that almost decapitated the Dodgers shortstop, the hit had twitter abuzz, and drew comparisons to Gary Sheffield after the game from Dale Sveum. 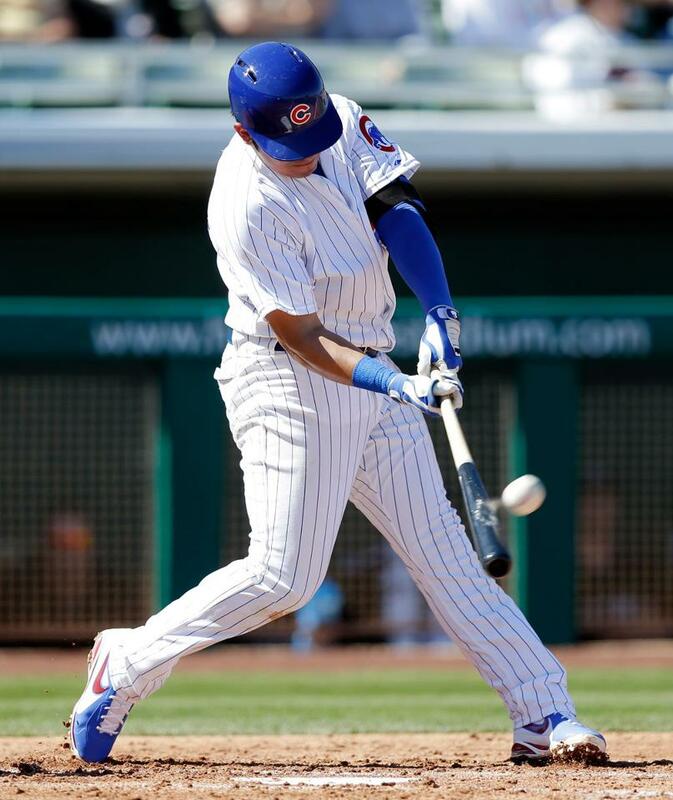 Back to the Cubs holding their breath, Starlin Castro was 1-for-3 on the day, but had to leave the game after pulling up lame crossing first base after grounding out. Castro said after the game that he was worried when he first felt it, but he is confident it’s more tightness then a pull, he’s feelings were echoed by Sveum as well after the game, fingers crossed. A lineup full of regulars today as the Cubs take on the Dodgers. Brooks Raley will make the start for the Cubs as they look to avenge their only loss of the Spring season which was to the Dodgers on Monday. Here is how the Cubs will get things started today. If the Cubs can bottle this Spring pitching and take in North when they break camp they will be more than just an improved team in 2013. The pitching this afternoon was fantastic, and it all started with Edwin Jackson making not only his Spring debut, but his Cubs debut. Jackson was stellar, tossing two scoreless innings while pounding the strike zone. He surrendered two hits, didn’t walk anyone and didn’t strike out anyone, you have a defense behind you, use it! Drew Carpenter followed Jackson and was the eventual winning pitcher for the Cubs as he also went two innings giving up one run on two hits while walking one and striking out one. Chris Rusin, Zach Putnam, and Nick Struck combined to closed out the final five innings for the victory. Both Rusin and Struck went two innings, Struck picked up the save giving up one run on two hits, while striking out one. The Cubs didn’t knock out too many hits on the day (6) but they made them count as they were able to push across four runs. 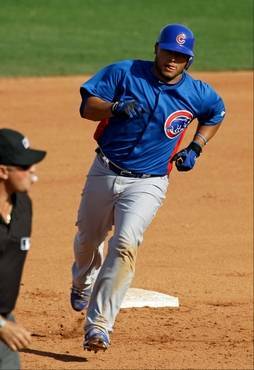 Christian Villanueva got the Cubs on the board in the third inning with a solo home run off of Jorge De La Rosa. Dave Sappelt had a strong day at the plate going 2-for-2 with a home run of his own, an RBI, and he scored two runs. Starlin Castro doubled, Javier Baez and Logan Watkins rounded out the hits for the Cubs, and Baez recorded his first stolen base as well. The Cubs used the long ball early and often against Chad Billingsley and the Dodgers staff to build a 6-2 lead through three innings. Nate Schierholtz hit a solo shot in the first, and then Welington Castillo went back to back with Darnell McDonald in the third inning. 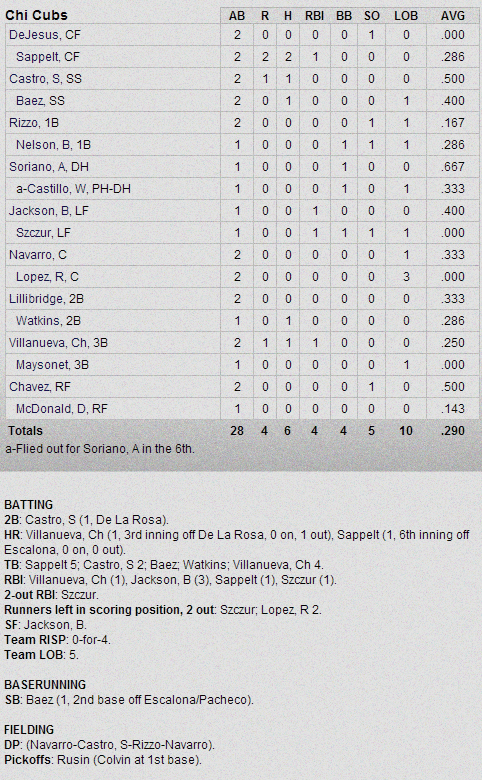 McDonald padded the RBI numbers with a three run homer, a no doubter. Unfortunately that was about it for the Cubs offense as they couldn’t scratch across another run the rest of the afternoon. Carlos Villanueva made his Cubs debut and it could have been better as he struggled with his command. Villanueva couldn’t make in through the first inning as he walked two guys, and gave up two runs in two-thirds of an inning. Blake Parker and Barret Loux had solid outings, each turning in a scoreless effort. Robert Whitenack struggled today, giving up three runs, while not allowing a hit, yes he struggled with command as well, walking two in two-thirds of an inning. 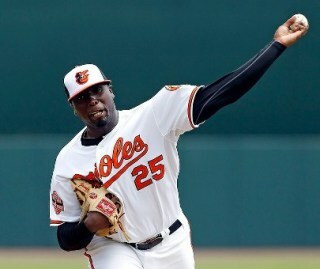 The news of the day came from Dontrelle Willis, not because he made his debut, but because he only threw seven pitches before leaving with what is being described as shoulder stiffness, he took the loss. You have to feel for the guy. 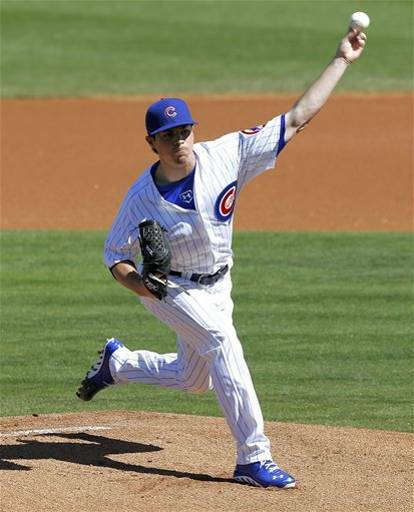 Willis, who is trying to make his latest comeback to the Majors with the Cubs, made his debut today. He walked the first batter he faced, threw seven pitches and then called the trainer out to the mound. Dodgers TV showed D-Train in the dugout during the pitching change and the concern seemed to be focused on his throwing shoulder, ugh. 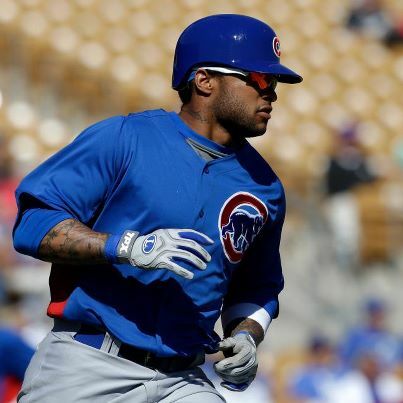 I say ugh not because I think he would be an integral part of the Cubs 2013 team or future, but because I feel for the guy. Tremendous success followed by humbling, and crippling injuries that have derailed his Major League career. Hopefully it’s precautionary, I think that was his last pitch as a Cub, maybe as a ballplayer, hope not. Once more information becomes available I’ll pass it along, I just can’t help but thing this is not going to end good, and that’s too bad. The Cubs exploded for four runs (all unearned) off of Giants ace, well one of them, Matt Cain, in the first inning and that was all they would need as they took care of the Giants 4-3 in their Spring home opener. The Cubs loaded the bases quickly in the first inning on a base hit by Castro, Rizzo reached on an error, and Soriano registered a base hit that almost took Matt Cain’s leg off. Cain was hobbled after he was nailed by Soriano’s line drive, he stayed in the game and proceeded to give up a three-run bomb to Cubs newcomer Dioner Navarro. The Cubs pitching staff made those four runs hold up as they shut down the Giants most of the day only allowing three runs on six hits. Jeff Samardzija got the start for the Cubs and tossed two strong innings, giving up three hits, one run, and struck out two without walking anyone. 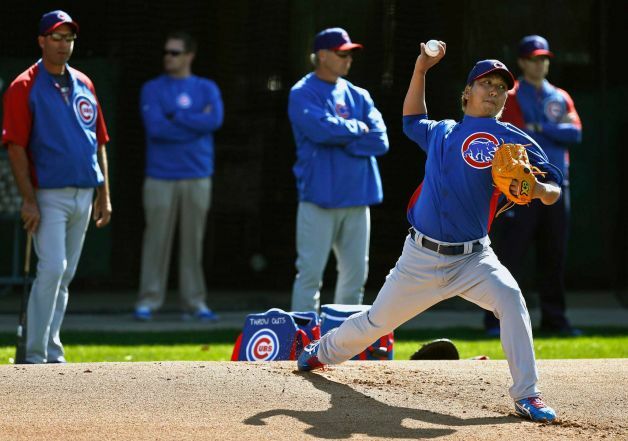 Kyuji Fujikawa made his Cubs debut, and it was impressive, he went one inning giving up one hit and stuck out two.